WORK: Last week I judged the Chiba Prefectural English Speech Contest, which was a big deal considering the winner will attend the Kanto Region contest! Myself, along with two Japanese teachers (principals and VPs) listened to 19 students give their self-written speeches. We had to choose the top 2 to advance. WOW. It was not easy. Each speech was 5 minutes, and I had to not only give them a score based on their composition, English level and delivery, but also write a comment for each. After all of it, they asked me to give a speech to all 40+ participants about how to improve! I left that day so exhausted. From the work of course, but also because I wore heels all day HAHA. I never thought judging anything would be a part of my job...and yet here I am. VENTING: One thing I WILL NEVER (I repeat, WILL NEVER) understand about Japanese schools is the "after PE situation" and by that I mean...(for example) the students have PE 3rd period. I have to teach them in 4th period. They rush into their classroom, still in their PE clothes with 2 minutes to spare before my class starts and they CHANGE RIGHT THERE IN THE CLASSROOM. All students. Boys and girls. Take off their PE clothes and change back into their uniforms. I CANNOT UNDERSTAND THIS!? Why can't PE end 5 minute earlier, giving the kids time to go to THE LOCKER ROOMS and change?? How hard is that? I just don't get it. CULTURE: As we all know, Thanksgiving in on Thursday, and many of my coworkers have been curiously asking me, "what exactly does turkey taste like?" and "why is black Friday black?" and "why is Thanksgiving on Thursday?" and a bunch of other questions I had no answer for HAHA. Living in a different country really makes you think about the holidays that are so normal to you back home...and yet so foreign here. PERK: This week the 2nd year students and teachers are in Okinawa for a class trip, therefore the school schedule is a little less busy. 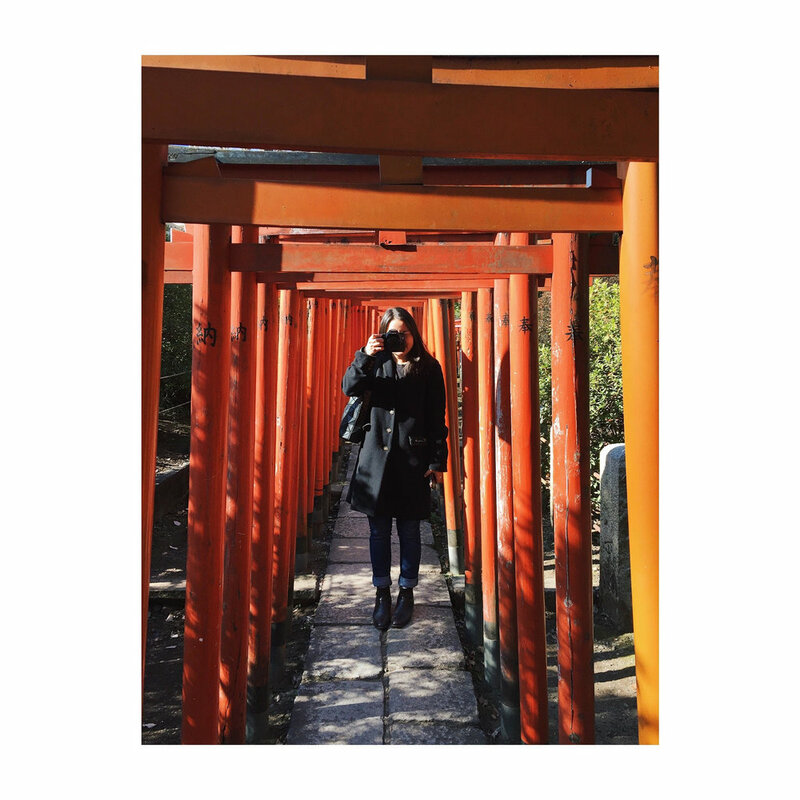 The teachers in the English department always take advantage of this and head to a nearby golf course that offers a 1600yen lunch buffet that is amazing! It is always fun to be outside the office with my coworkers...and this place has an Ochazuke (rice+green tea) bar that is my absolute favorite! COLLIDE: this past week, my worlds collided! 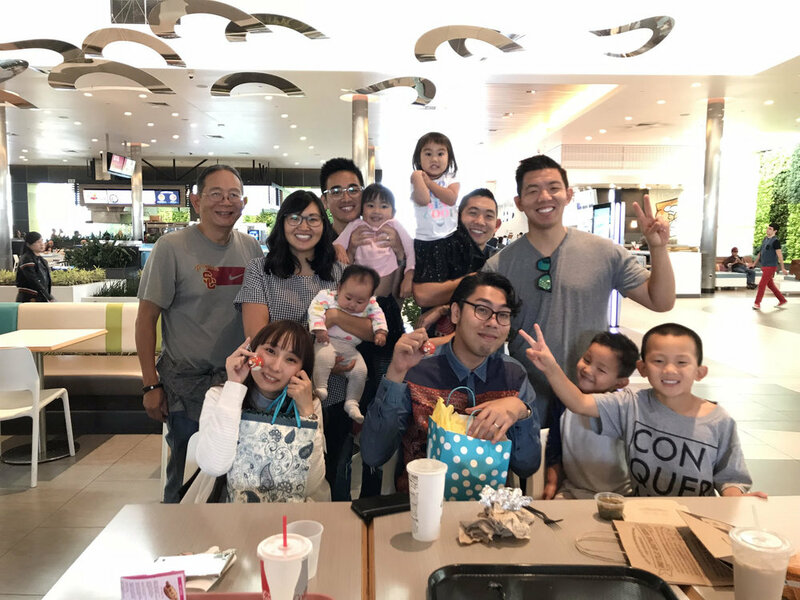 My two coworkers, Takeda and Tamaoki, took 24 of our Ichikashi students to Torrance for the annual exchange trip...and this time around they met my family!! EEK!!! My brother picked them up and took them to target and then delamo, where they had lunch with everyone. I can't fully express how much this means to me...to have my Kashiwa family meet my family-family!! And the funniest thing about it all is that Takeda and Tamaoki have officially met my niece, Tayah, before I have..HAHA!! And that wraps up my random work post! It's already November 21st...and I'll be home in exactly a month for the holidays YAY!!! !